I’ve recently come to terms with the fact that I am a car addict. Luckily at the moment I am limited by available parking to only three four three four five, just the five, total vehicles, but I hope to grow that number to as many as I can comfortably care for once I find a place to put them. 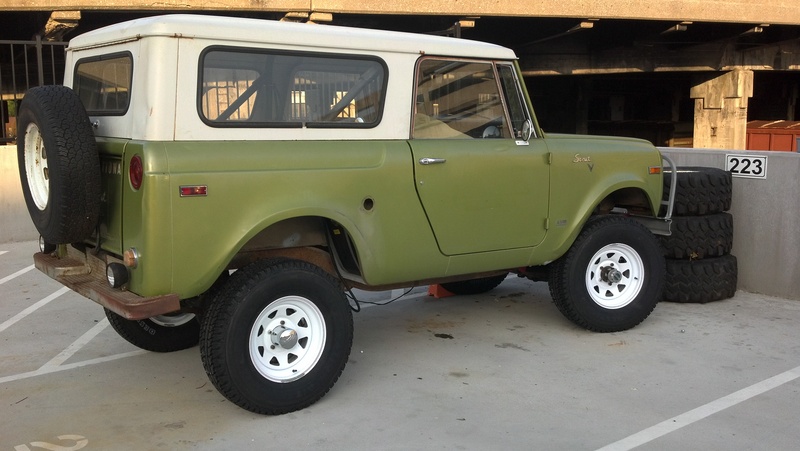 I started working on vehicles in 2011 when I bought a 1970 International Harvester Scout 800A 4×4. The idea being I wanted a larger vehicle to carry lumber and supplies and give something for my dog to puke in other than my Civic. That… didn’t go well… Not only was the dog terrified of the vehicle, but there was endless drama surrounding the vehicle due to a crazed previous owner. That said, it was an amazing learning experience and did not put me off the car scene for long. About a year after that I purchased at 1963 Volkswagen Manx style Dune Buggy. It was awesome, if impractical. After two years of enjoyment and tinkering, I sold it off to make room for the next project. 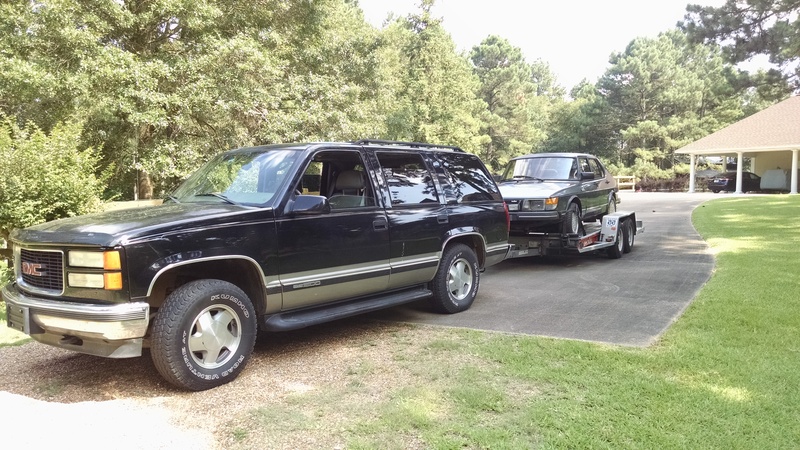 I also had a 1999 GMC Yukon for learning about modern vehicles (and I weirdly like the “old body style” GM SUVs). I also ended up keeping the vehicle from my Top Gear style road trip, a 1987 Alfa Spider… and the Land Rover from the 2nd cheap car challenge road trip. What I can say, after going on a road trip like TQ West Coast, there was no way I could sell the little car that carried me through the greatest adventure of my life! Unwilling to imagine a life without these cars, all three of us ended up having them shipped home. 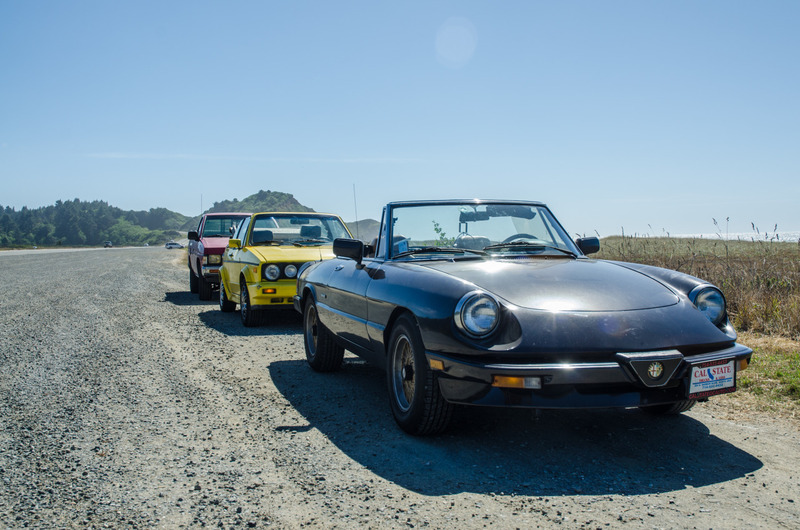 The full story of the Alfa will be detailed elsewhere, but the tl;dr version is it was purchased as part of a Top Gear Cheap Car Challenge style road trip up the Pacific Coast. I blew the $2500 budget a bit, but not as much as you’d expect. The Alfa has clearly seen better days but mechanically seemed sound. Over the next two weeks it barely put a toe out of line and was an excellent, reliable, and beautiful companion on the trip. 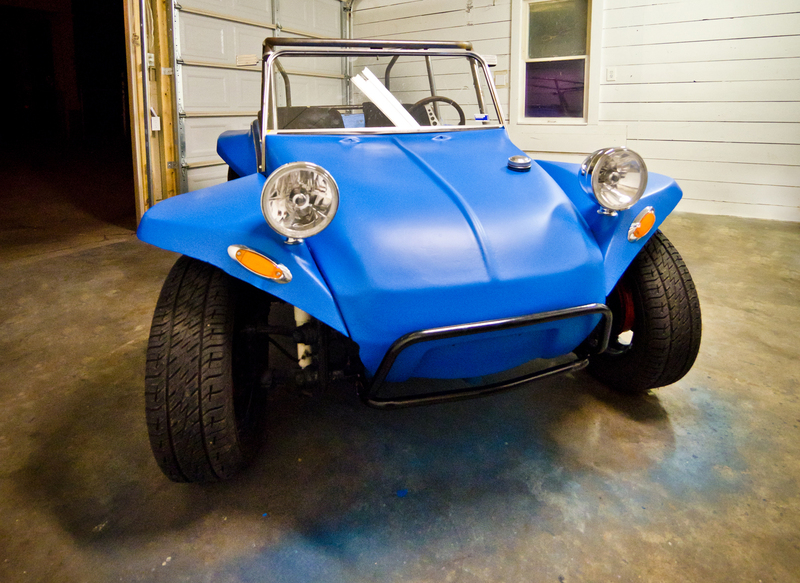 The Buggy has a 1963 VW Beetle chassis with a 1973 rebuilt 1650cc 4-cylinder VW engine. Still air cooled, this produces somewhere between 40 and 60 BHP, which is plenty to move the little thing down the road. Power is put down via a 4-speed “freeway flyer” gear transaxle and doesn’t have many problems at highway speed. The body is a modified Manx clone, most likely a Sear Rascal. (Without the rear box intact and no identifying marks, positive identification is nearly impossible) The EMPI 2 barrel carb that came with it has been replaced with a similar rebuilt Solex unit with brass fittings. The EMPI mechanical advance distributor was replaced with a Pertronix Ignitor II dual-advance unit to better match the carb and ditch those pesky points. I also plastidiped it to improve a tortured gel coat! In April of 2016 I sold the buggy to a gentleman in Northern California without losing much money! I call that a win! I will miss its silly face in the garage, but I am also excited to see what is next! Not a project car, but my daily driver! Still worth mentioning as it is a limited edition, #124 / 250, produced to look like the semi-famous Volvo C30 Polestar Concept, as seen on Top Gear and Jay Leno’s Garage. Items of note are Volvo’s usual turbo 5-cylinder engine tuned to 252 BHP and roughly 300 ft*lbs of torque with the Polestar tuning package, which came standard with the special edition, and a 6-speed manual, this thing can really move. Unlike the concept, which was much more insane, this is otherwise a standard C30. 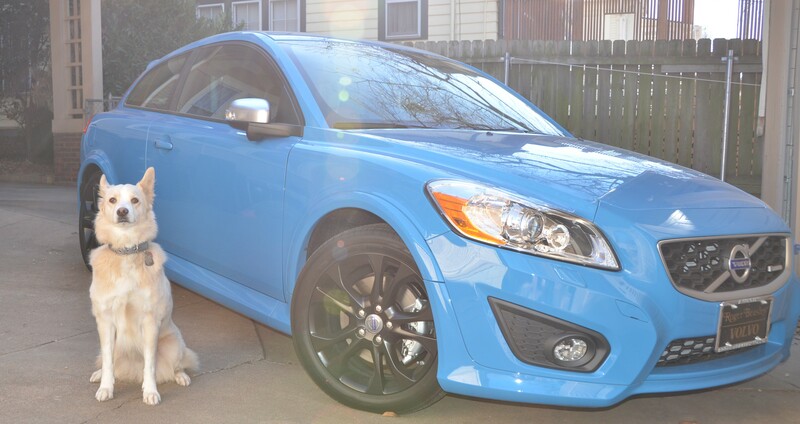 The paint, SE badge, and special rims are the one things not readily available on other C30s. That said, this vehicle is an excellent, beautiful car that has made a great daily driver. Bought to supplement the C30, learn about “modern” engines, haul stuff, and just because I wanted to, the Yukon was actually a great car. Nothing special, but I liked it! 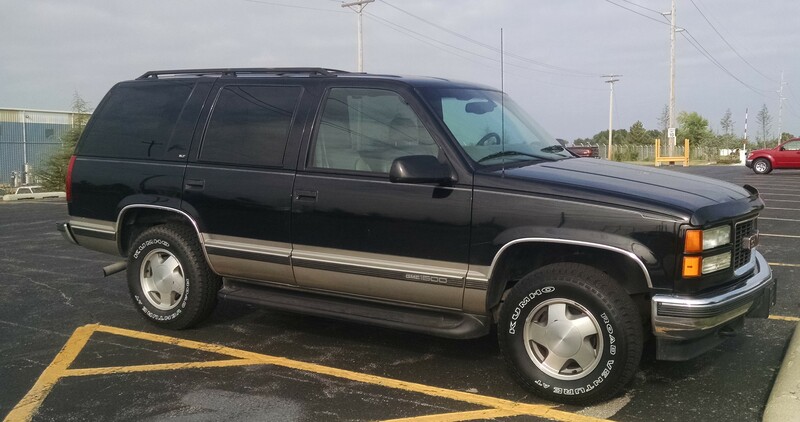 If you’re looking for reasons this car is special, one could note the 1999 Yukon was one of the last production vehicles to use the 1st generation Chevy small block engine, in this case the Vortec 5700 L31. The small block was used in too many good vehicles to note and has a truly epic lineage. Additionally, this was a true luxury car in its day, having many features still only just becoming standard in modern vehicles, which has made it surprisingly comfortable. 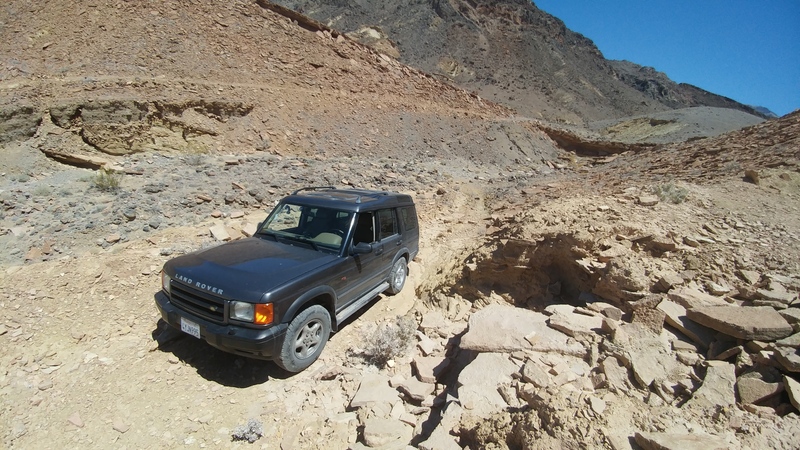 Though I’ve been told the 4×4 system is rubbish off-road, it certainly always did what I’d asked of it. Overall it was a forgiving vehicle to start working on “modern” engines and actually very relaxing to drive. Also, despite being well over fifteen years old and with over 160k miles on the clock, this car still did whatever was asked of it without complaint. I love the determination and lack of pretension in the vehicle. When was the last time you saw a true 4×4 that didn’t plaster it all over every body panel and all over the inside of the car? I cut my teeth on this car, bringing it back from non-operational to road worthy. The saga of the Scout is a long story and one best never told. What can be said about the Saab? The car had been in my family for years, first with my uncle, then as my brother’s first(ish) car, and then my first as well. I learned to drive manual on this vehicle, and drove over 2,500 miles to pick it up from Washington and haul it back to Louisiana, where I lived at the time. This car carried me the 500 miles to and from school many, many times and never really broke down on me. Eventually, it came time to replace the Saab with something more comfortable and reliable. It still holds a place in my heart. Despite being a monumentally stupid idea (though I am a sucker for those) after three years of hostage negotiations the Saab is back in my care and my garage. Twelve years of sitting out in the rain have, understandably, taken their toll on the poor old car, but he is a fighter and WILL drive another day. The Disco was acquired for our second round of Top Gear “cheap car challenge” style road trips. This time, in May of 2017, we’d decided to go off the beaten path, literally, and use primarily unimproved and backcountry roads to complete the trip. And now I own a Land Rover. Life is funny like that. At some point along the trip I realized while this car wasn’t going to be a “forever” car, I wasn’t going to be satisfied with only my two planned weeks of ownership. As a result, I, once again, had my road trip car shipped home to be under my care. I look forward to learning about it as I have many before. What happens when I go over a year without buying a car? I buy a car. Casually trolling craigslist, like ya do, a 1986 4WD Civic Wagon came up near Tulsa. I’ve always had a soft spot for weird cars that shouldn’t have 4WD but do (Tercel, Civic, Vans, Etc) and this one certainly fit the bill.